Accessories: Her favorite outfit is a cheongsang tunic with jeans. She tends to wear Asian-styled clothing, but anything's fine. No jewelery. Anything else? : She's usually anthro, but either way is fine! Description: Small. She can be morphic or non, small and slender. 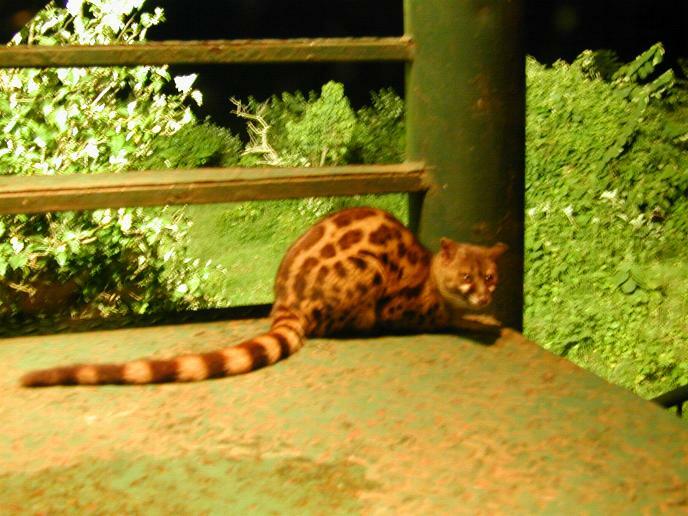 Long brown-grey hair in both forms, otherwise a regular looking genet. Personality traits: Playful and silly; have fun with it! Accessories: occasionally wears a silver pendant on a leather thong. The pendant is round, but otherwise non-descript. Anything else? : She tends to not wear clothing, even in her anthro form. She has really thick fur to preserve her modesty (see reference images).